Welcome to Felines4us! Our listings of kittens for sale are the best and easiest way to find breeders in the United States. Find kittens, cat breeders, and stud cats from the comfort of your home. Simply become a registered member to get started and then conveniently browse through our extensive listings by either breed or location. 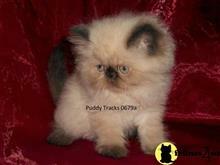 Under each listing you will find the kitten’s breed, age, selling price and location. Do you want a Ragdoll, Persian, or a Sphynx? Looking for a kitten in New York or California? Buy the kitten you have always wanted. The ideal kitten is one whose breed and personality best fit your lifestyle and household. A cat that has been socialized with people and other pets is a plus. Begin your search today for a new kittie!